You should never walk away from firing surf, but a decent refuel on the beach is definitely necessary before paddling back out for second helpings. 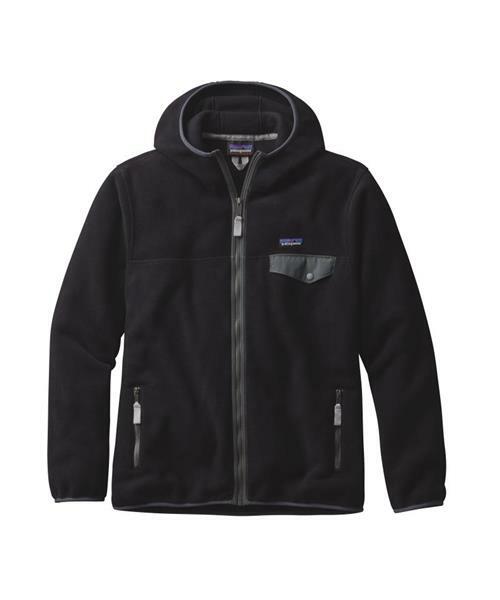 A hooded version of Patagonia's Synchilla® Snap-T®, this hoody provides the warmth of a sweatshirt with the technical benefits of double-faced 100% polyester midweight fleece (80-85% recycled). Soft and durable, it wicks moisture, dries fast and fends off the Central Coast chill. Front and back yoke seams allow a full range of shoulder motion; two handwarmer pockets thaw your hands while the coffee boils. Other features include a left-chest snap pocket with nylon flap, snug 3-panel hood, full front zip with a zip-through collar, and elasticized cuffs and hem to seal in warmth. Hip length.